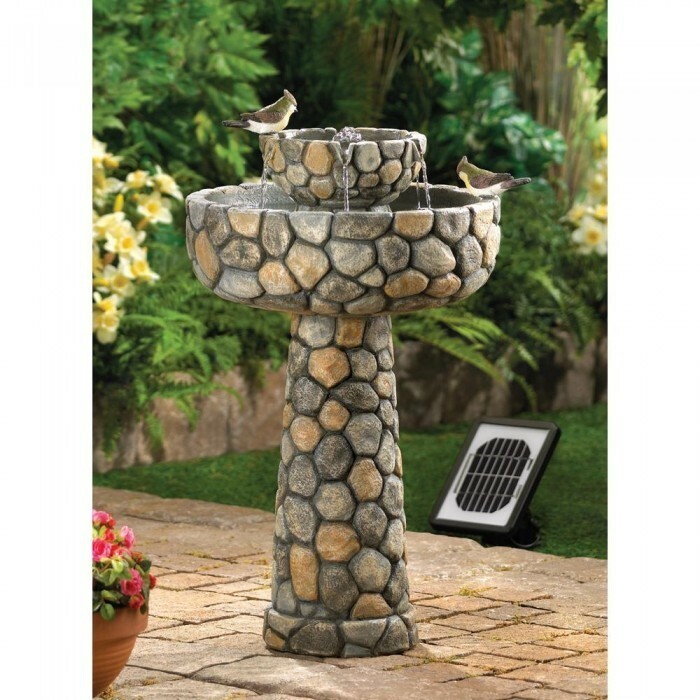 WISHING WELL SOLAR WATER FOUNTAIN by Cascading Fountains home decor, jewelry, decor, decorations, electronics, fountains, floor mats, art glass, vases, garden essentials, fireplace screens. Material(s): POLYRESIN SAND STONE POWDER SOLAR PANEL. Weight 17 pounds. Polyresin, stone powder, and sand. Dimensions 15.3" x 15.3" x 25".